I wanted to share my current skin care routine (all cruelty free). It isn't perfect yet - there are some products I won't be repurchasing...and a few I still want to pick up, but I thought I would still share for the time being! Despite how much I like the product, I am going to be trying something different once this runs out. While Burt's Bees is cruelty free, they are a subsidiary of Clorox - who definitely are NOT...so I'm going to try out a cleanser from Acure next time that claims to do the same "tingly" things this one does! I really like this product...not sure what difference it is making, but if anything, it cleans any remaining lingering makeup off my face (especially nose area) and makes everything feel fresh and "clean slate". I will definitely be repurchasing this one. This came with one of my Petit Vour monthly subscription boxes. I like it, but I'm looking for something a bit more powerful, so I think I'm going to be trying Acure's Eye Cream next. So amazing. This was a sample size from another Petit Vour box, and I can't get enough of it. 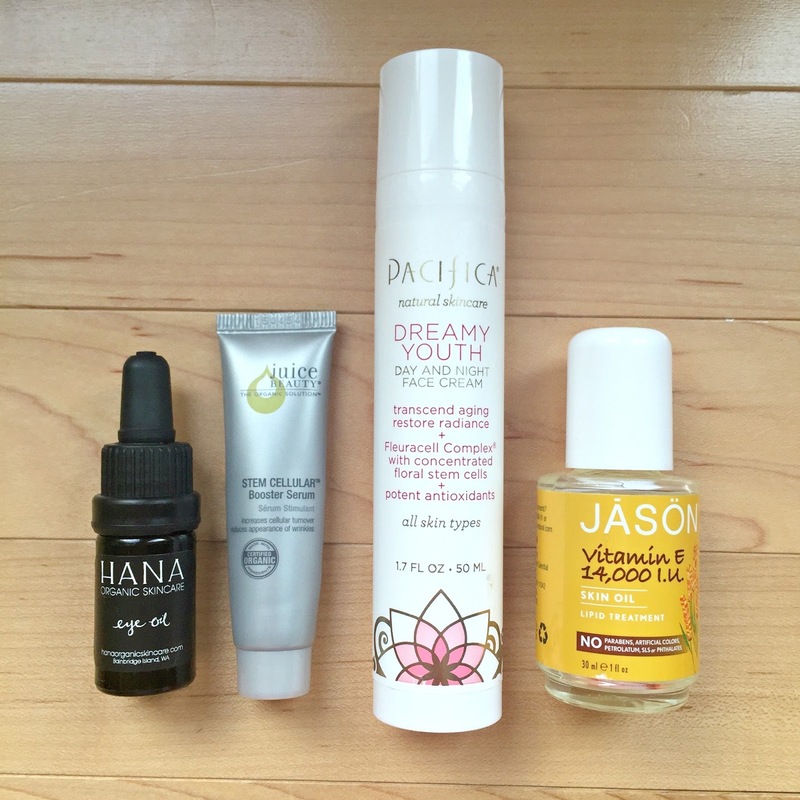 I want to try more of Juice Beauty's skin care line, and I think I'll be purchasing their Anti-Wrinkle Solutions Kit next because it comes with a good sized version of the serum in addition to a couple other products! This is wonderful - light, mild smelling, and very moisturizing. I love it for day time before makeup application. I would like something a bit more heavy-duty for the evening, though, so I'm still searching. Let me know if you have any suggestions! For the extra dry bits - sometimes around the nose, sometimes on the lips. This stuff is a must have for all skin care collections! This is a replacement for Vaseline - it is 100% petroleum free. I stopped using the Sonia Kashuk eye makeup remover because it was giving my eyelids an ugly allergic reaction - which is something I've dealt with from liquid makeup removers for years (I just need to give it up, none of them are going to work for me)...so this is helpful in removing the last little stubborn bit of mascara or brow pencil from my face. Like I mentioned before though, I'm trying to get away from Burt's Bees, so I will be trying the Alba "All Better Balm" instead. What are your skin care routine favorites?? none of the eye makeup removers work for me either. they either make my eyes water, puff up or sting the heck out of my eyes. i keep trying though. i have been using vaseline recently, i didn't know there was anything bad about it though :( i really should do more research. maybe i should try that burts bees stuff, but i had no idea they were a subsidiary of clorox. i really need to overhaul my skincare routine (which as of right now doesn't really exist at all). 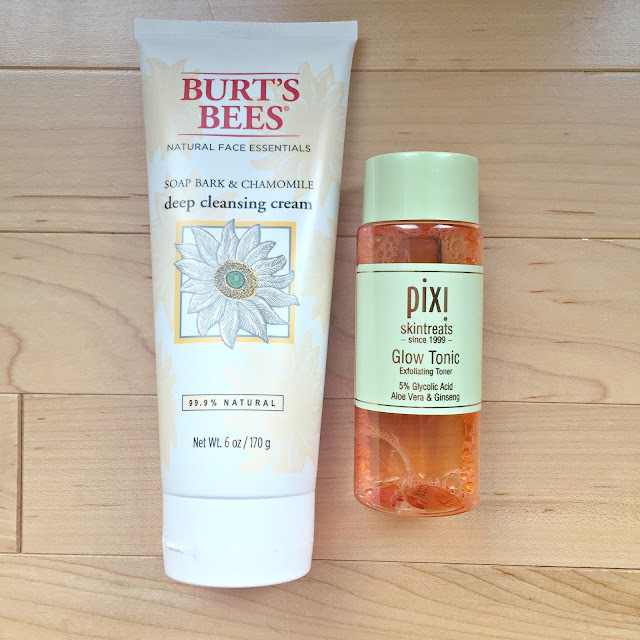 i'm curious about the Pixi Glow Tonic! So much goodness in this post! 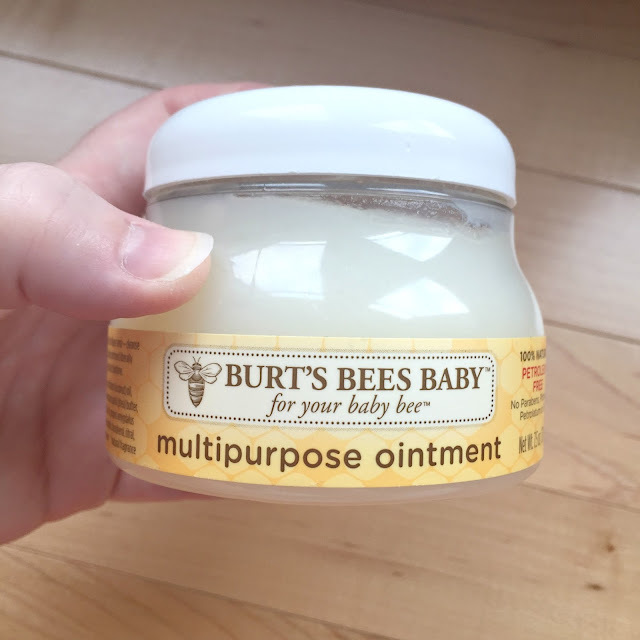 I actually have a Burts Bees face wash I got a while ago that I wanted to try out to compare to a higher end one that I love, but I haven't tried it yet.